Celebrating Valentine’s Day in Vancouver? Wine and dine your special someone at one of these romantic restaurants for a spectacular evening. And, of course, if you want to make your trip even more unforgettable, book your stay with us here at Georgian Court Hotel. 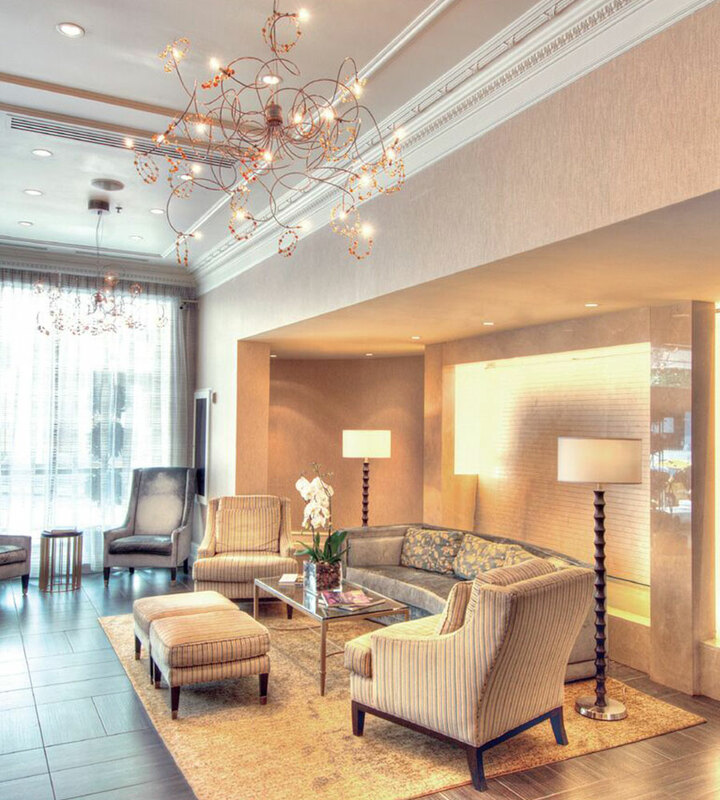 Our luxurious, sophisticated, and elegant guestrooms, suites, and penthouses have made our Vancouver hotel the city’s finest in boutique accommodations. Experience one of downtown Vancouver’s finest Italian dining experiences, right here in the Georgian Court Hotel. Frankie’s menu includes an impressive selection of pasta dishes, hand-stretched pizzas with home-made dough, Italian ciabatta sandwiches, and an extensive wine list. The restaurant also features live jazz music four nights per week! This iconic and award-winning seafood restaurant has been a local favourite for over 30 years. The menu features more than 50 kinds of fresh fish including the legendary three-tiered Seafood Tower, premium oysters, and succulent chops. Joe Fortes is located right in the heart of Robson Street, a popular shopping district. Located right on the Coal Harbour waterfront, Carderos boasts an unbeatable view of the North Shore mountains as well as the city’s spectacular sunsets! Their Pacific Northwest-Inspired menu is impressive too and features a special three course meal for Valentine’s Day which includes crab cakes, oysters, New York stripling and lobster tail, and chocolate cake.